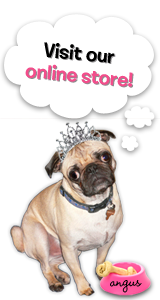 The Rubber Cafe Design Team Blog: Let Freedom Ring! What a fun kit this month! 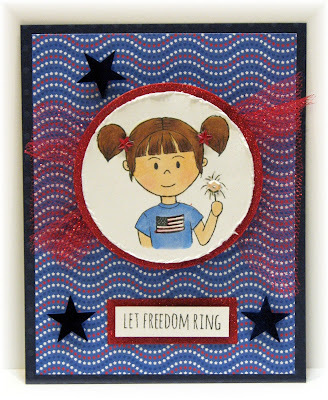 Home of the Red, White and Blue is packed with fun papers and embellishments that compliment the stamp sets. For this card I picked some of the fun paper included in the kit and layered it on the Navy cardstock. I stamped the girl with Memento Ink and then colored her with Copic Markers. 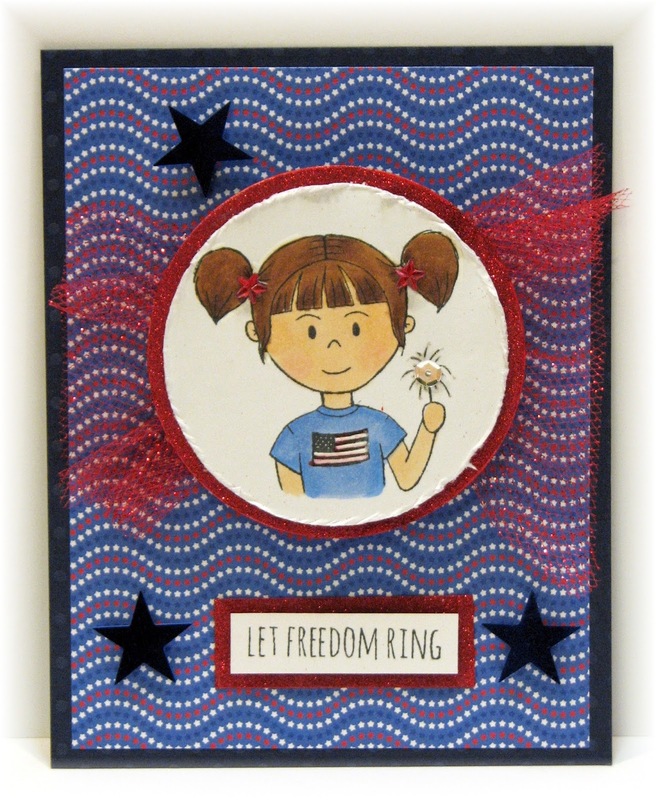 You know I couldn't make a card without a bit of the You're So Fine Glitters....and so I framed both my image and my sentiment with the Patriotic Red glitter! To frame the image I applied Scrap Happy Sheer Glue around the edge of a circle die cut just a bit larger than the image circle. Glitter the edge and you have an easy instant frame for your image! For the sentiment you could do the same. I actually had a scrap of two sided tape that I used in place of the glue. I wanted to use some of the fun glitter mesh included in the kit and I fan-folded it and attached it to my card with double sided tape. Then I wanted my image to dance over the fabric fireworks, so I used an Action Wobbles to attach my image to the card over the mesh. Tip: want to change the color of the clear gems sent in the kit? Color them with Copic markers like I did on her adorable pigtail holders! I added a sequin over the sparkler that I touched with some of the Stardust Gel Pen. Stars are attache to the card with pieces of Foam Squares to add a bit of dimension.